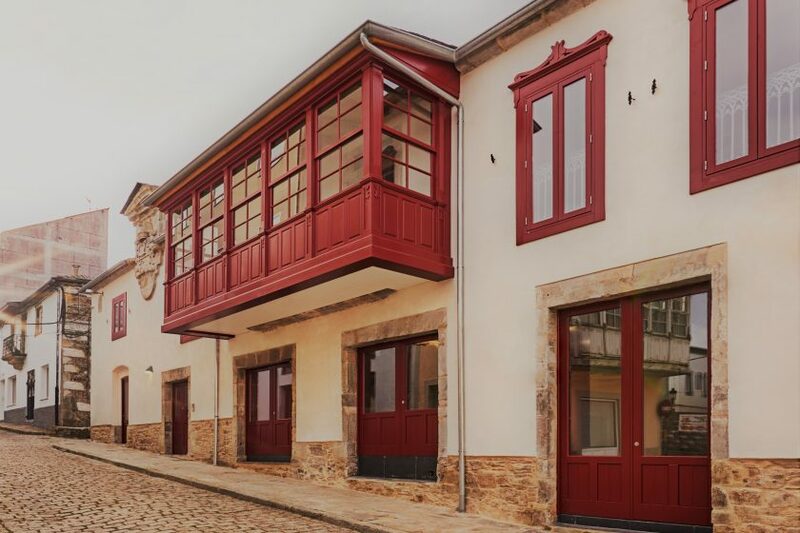 The new hostel, which arose in order to boost the Camino Primitivo, will suppose a substantial boost for the locality as it recuperates Casa Pasarín, one of the most emblematic buildings in this town, for the neighbourhood, and because these new installations will make it possible to increase the capacity of accommodation for pilgrims, therefore it has much touristic attraction. Considering the reforms carried out, the levels of the ground and first floors were standardised and part of the west facade was replaced. A part of the south façade was replaced by a gallery and the lighting and ventilation conditions of the interior patios were improved. Improvements to accessibility were incorporated and architectonic components were restored together with the mural paintings of the building while three bedrooms were put in place, where up to 42 pilgrims could rest. The Xunta invested a total of €600,000 in the fitting out so as to improve the services of the Camino Primitivo, with a hostel baptised with the name Ramón Rodríguez, a priest of A Fonsagrada who dedicated a large part of his life to making this route and this town known. The declaration of the Caminos del Norte and the Camino Primitivo as World Heritage Sites brought an increased interest in travelling the routes. It is not surprising that only in the last 10 years, the number of pilgrims on the Camino Primitivo multiplied by four, reaching 12,100 last year.